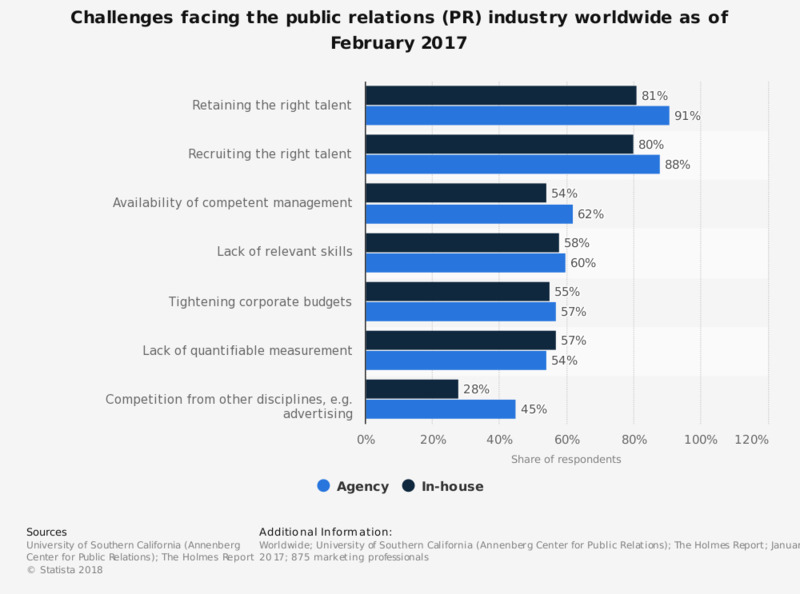 The graph shows data on challenges facing the public relations (PR) industry worldwide as of February 2017. During a survey of agency-employed marketing professionals, retaining the right talent was named the most important challenge preventing PR agencies from achieving their future goals. The source provides the following information: "
ffers numerous directional insights into the attitudes, beliefs and activities of PR practitioners and students."